beauty treatments. “Beauty on top”. Angenies Institute for skin rejuvenation is a professional company with a lot of expertise and experience: your skin is safe with us and will remain healthy. Together with you, we will treat your skin according to a clear, phased and modular pattern. First of all, we make a scientific and complete skin analysis with a professional device of Callegari that is used by dermatologists in clinics. After the scientific skin analysis, you will receive clear advice for treatment in our Institute and for home treatment. There are enough possibilities, and it is up to you to decide whether or not to call upon us for assistance. Each phase starts with a clear intake interview. Because clear agreements guarantee maximum quality of your skin. We work with you, not for you! Angenies is the expert. That’s true. But it is your skin, your time and your money. Therefore, we like to know how you see it all. We involve you in the whole process and handle your feedback after each stage. So, at the end of the ride, everyone is 100% satisfied with the result. Since 1998, Angenies Somers is the dynamic business manager of Angenies, Institute for skin rejuvenation and skin improvement. Thanks to her expert knowledge and major investments in the latest and best technology available, Angenies, Institute for skin rejuvenation and skin improvement, has become a reference in Flanders and the Netherlands. “Beauty on top”. A wide range of wellness arrangements, customized massages, full facial and body treatments, permanent hair removal with the newest Elos (E-lase) equipment, resin based hair removal, skin rejuvenation and skin improvement with the latest INVASIX Fractora device, local slimming, permanent make-up, maquillage, etc. “Beauty is lifestyle”. All treatments are backed by years of experience, continuous education (dermatology for skin therapists, holopathy, nutrition and exercise) and training for proper use and maintenance of the best available technology and devices. We spend continuous and ample time to advise and service our customers – making sure that results are within expectations. Free trial treatments after an intake interview are always possible. Take your time to choose the proper treatment for your skin. Beauty on top with a natural look. Angenies, Institute for skin rejuvenation and skin improvement is a model institute of Sothys beauty treatments and beauty products (Beauty on top), a leading name in the world of beauty for more than 50 years. The treatments are carried out meticulously by Angenies, your skin coach. NEW: Angenies, Institute for skin rejuvenation and skin improvement is working with the latest INVASIX equipment, namely Fractora. Deep wrinkles, couperose (rosacea), scars, acne, pigmentation… can now be treated safely and permanently for any skin type without pain and with minimal aftercare. A completely natural facelift and skin lift without cutting! “Beauty on top with a natural look”. NEW: Angenies, Institute for skin rejuvenation is working with the latest INVASIX equipment, namely Fractora TiteFX. Cellulite, double chin, back and belly fat, love handles…. are safely and permanently removed without pain and with minimal aftercare. In short, a completely natural facelift and lift skin without surgery. NEW: Angenies, Institute for skin rejuvenation is working with the latest ELOS equipment, namely E-lase. Even small areas such as eyebrows, eye contours, corners of the mouth, lip liner, ears, nose and between the eyebrows can now be depilated safely and permanently for any hair color and any skin type without pain and with minimal aftercare. You can always contact us for a free consultation (value € 50, time: 1 hour) with the necessary skin analysis; we will answer your questions by phone or e-mail. We recommend the use of our search engine for further clarification of cause, treatment and follow-up of your skin disorders. We can converse in Dutch, French and English language. 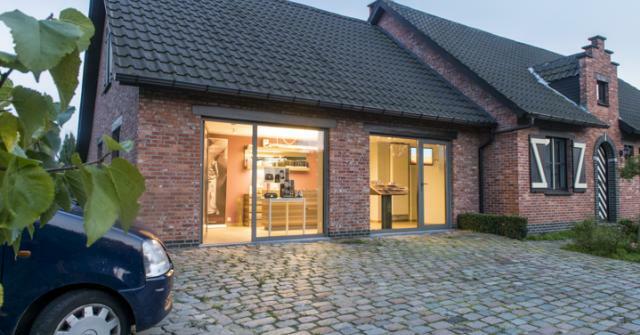 We will welcome you at our new location: Meir 10, 2520 in Oelegem. Parking space is available. Moreover, you can enjoy the peace and serenity of our treatments and customized advice, each visit again. An exquisite setting in a characteristic and beautiful Flemish village.